Well, they were on this occasion! Following on from my earlier post about our new Blends pens for colouring in of images, I just wanted to share some more samples with you from Coffee and Card on Wednesday. 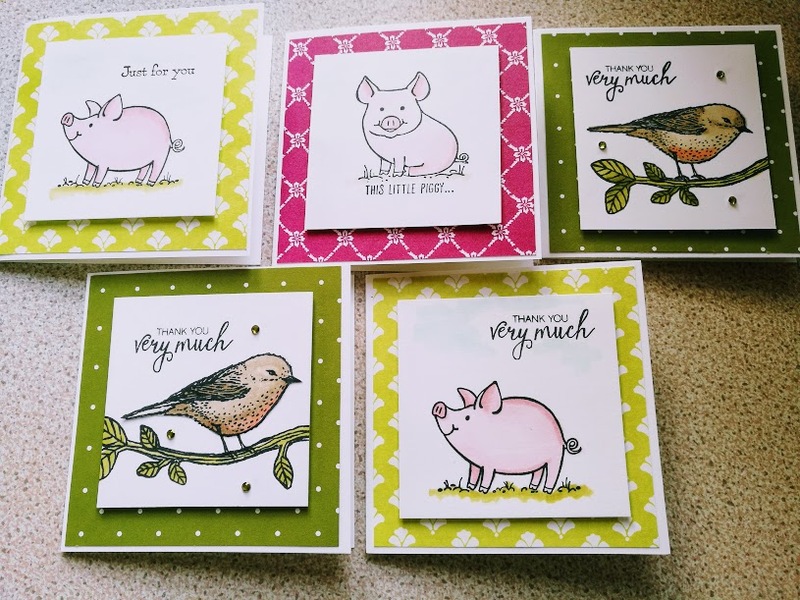 I took a whole selection of animal stamps with me - and the most popular were the pigs and the birds - who would have thought it! Now I have been going through my large stash of stamp sets, just to see what other stamps would be perfect for this technique..... I might be a while! For more information on these easy to use pens, try visiting this post.